10 Food Safety Myths You Thought Were TrueAre You Keeping Your Family Safe From Food-Borne Illness? Fact: This one is little more complicated. It is true that very hot food put into the refrigerator can raise the temperature of the fridge above the safety level for bacteria growth. However, this doesn’t mean that you should leave your food on the countertop until it is cold. In fact, it’s bad for food to sit for too long outside of the fridge, encouraging bacteria growth and increasing the risk of illness. Instead, wait for the food to stop steaming before refrigerating, and put into more than one small container to cool it faster. 7. If It Smells ok, IT IS OK.
Ah the smell test, we might dread it just in case it comes up foul but we know that if something smells good, that usually means it is good, right? WRONG! 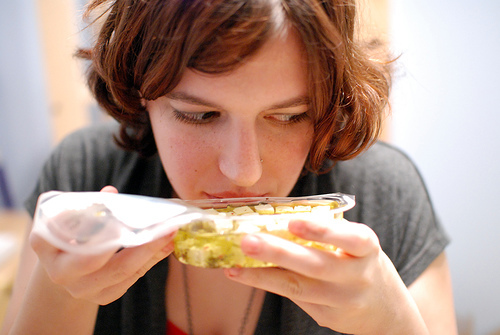 Fact: As it turns out, the smell test is a terrible way to gauge whether food is good to eat. This is because although some kinds of spoilage bacteria, moulds and yeasts can make things smell bad, other pathogenic bacteria can grow in food without changing the smell or look of the food. 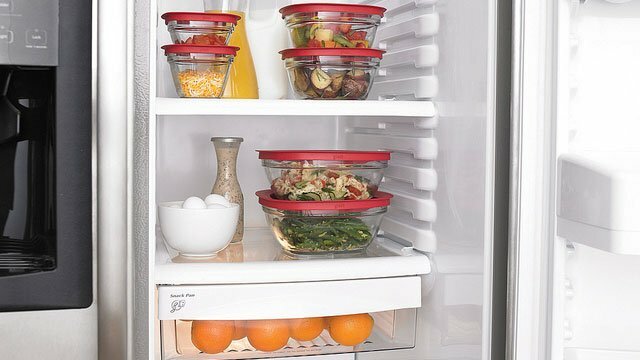 Keep a close eye on the food in your fridge, paying attention to the date it was purchased or cooked, to avoid a food poisoning risk. Cross-contamination is what happens when bacteria from one food (often a raw food like meat) comes into contact with another food (like vegetables that aren’t cooked prior to being eaten). Bacteria on raw food is destroyed and made safe in the cooking process, but doesn’t happen when it comes into contact with foods that can be eaten raw like leafy greens and fruit. Many people believe that cross-contamination cannot happen in a fridge because it’s cold. This is false. Fact: Your fridge can still be a breeding ground for bacteria like this so separate raw meat from other items, and always keep your fridge clean.